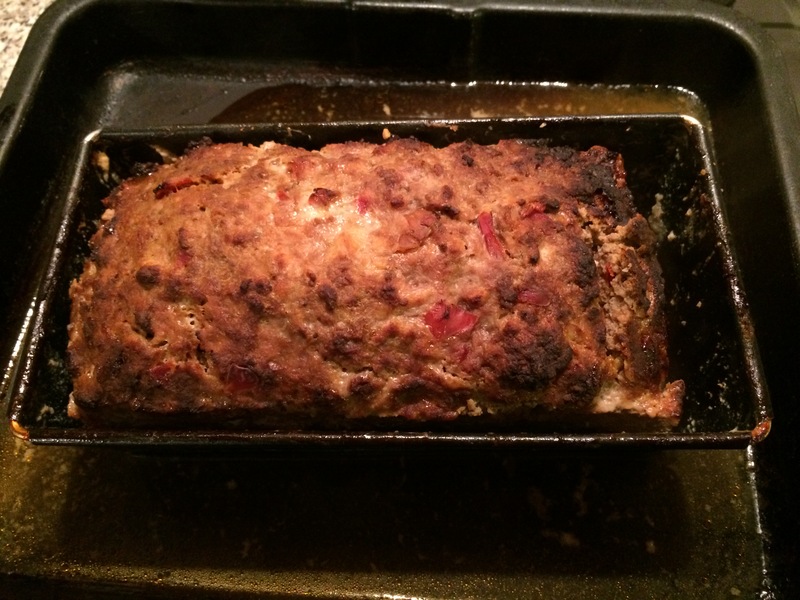 For a midweek meal we tried Piquant Meat Loaf from Supercook. Milk and breadcrumbs are combined with minced pork, minced beef, onion, canned pimientos, French mustard, basil, cayenne pepper, paprika eggs and seasoning. The mixture is placed in a baking tin with some boiling water and baked in the oven. For our recipe we used some roasted red peppers from a jar because we were unable to buy any pimientos locally. We served the meat loaf hot with sautéed potatoes and green beans. 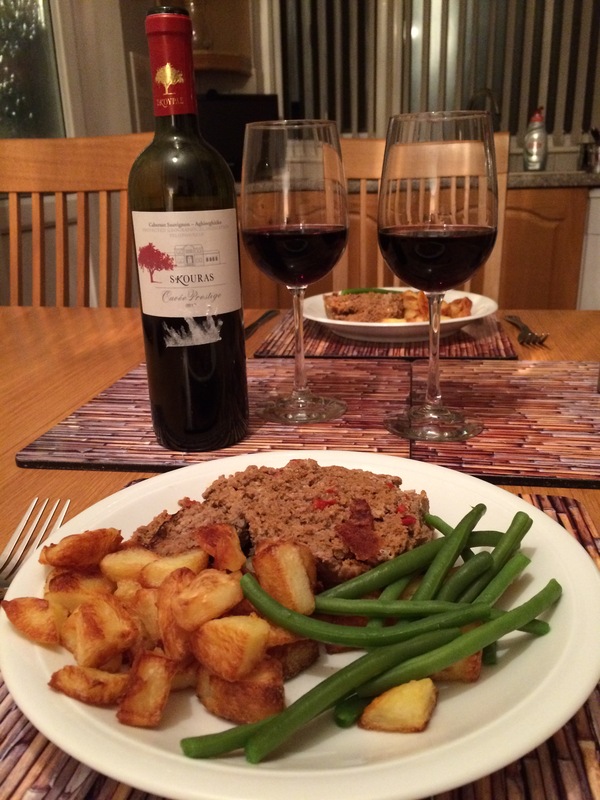 We thought a medium-bodied red would go well with the meal and opened a bottle of Skouras Cabernet Sauvignon 2012, a Greek red from Waitrose. It had red fruit aromas, a slight sweetness and a predominance of red over black fruits. The wine was soft and rounded with a tinge of acidity on the finish. We enjoyed the wine and thought it was a very good match with the meat loaf. 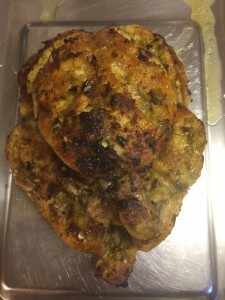 We tried Chicken in White Wine from the Slow Cook Book. 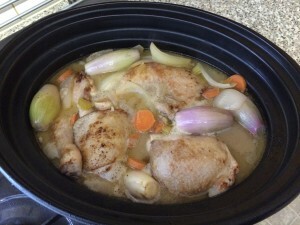 Chicken pieces are marinated in white wine, onions, celery, garlic and peppercorns. The marinated chicken is then slow-cooked in its marinade with shallots, chicken stock and bouquet garni. Mushrooms are added towards the end. We served the meal with mashed potato. 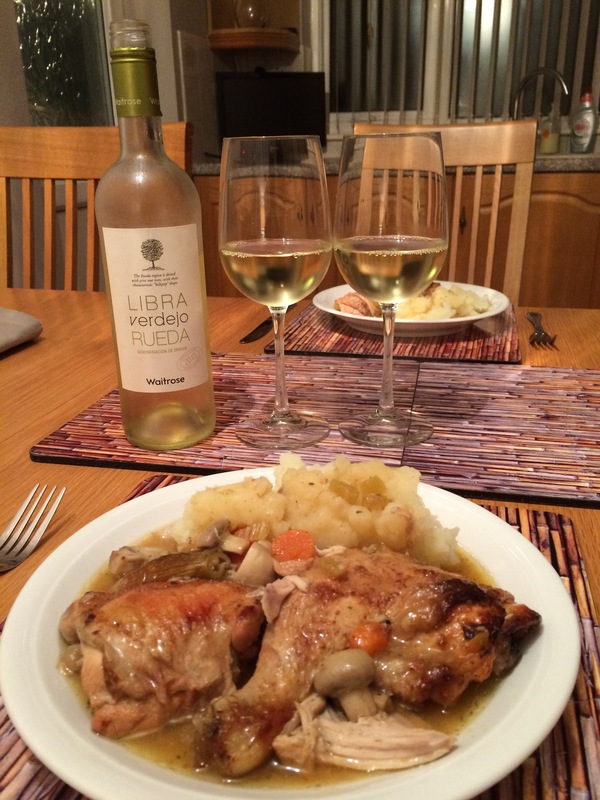 We paired this tasty and warming casserole with a bottle of Libra Rueda Verdejo 2013, a Spanish white wine from Waitrose. The wine was slightly off-dry, fresh, zingy, with a touch of apple, but the predominant flavours were smooth slightly creamy pineapple and mangoes. The finish was crisp. We thought this enjoyable wine was a very good match with the slow-cooked chicken. 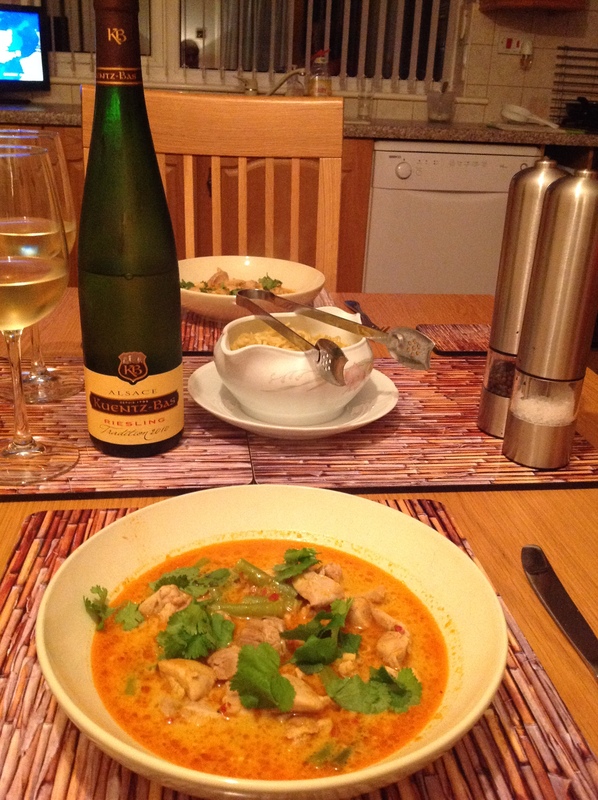 We cooked a Thai red chicken curry using onion, garlic, fresh ginger, coconut milk, green beans and a red curry spice paste from Waitrose. The paste contains garlic, dried and small red chilli, lemongrass, salt, onion, galangal, kaffir lime peel and spices. We garnished the curry with fresh coriander leaves and served it with noodles. 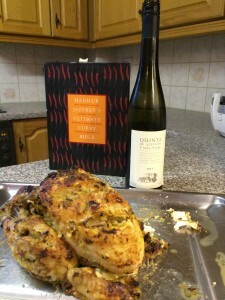 We opened a bottle of Kuentz-Bas Alsace Riesling 2010 from the Wine Society. This was creamy, with tropical fruits, good minerality and tangy lime on the finish. 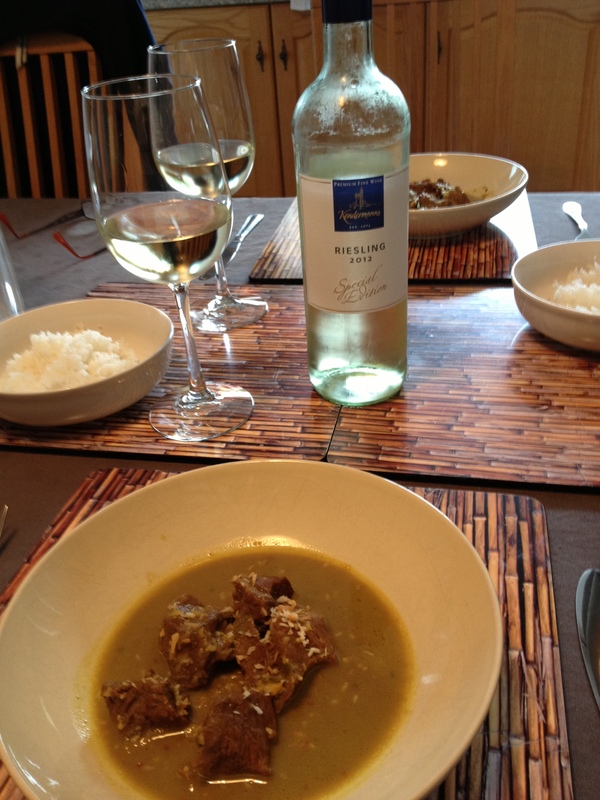 This excellent wine was a good match with the curry. 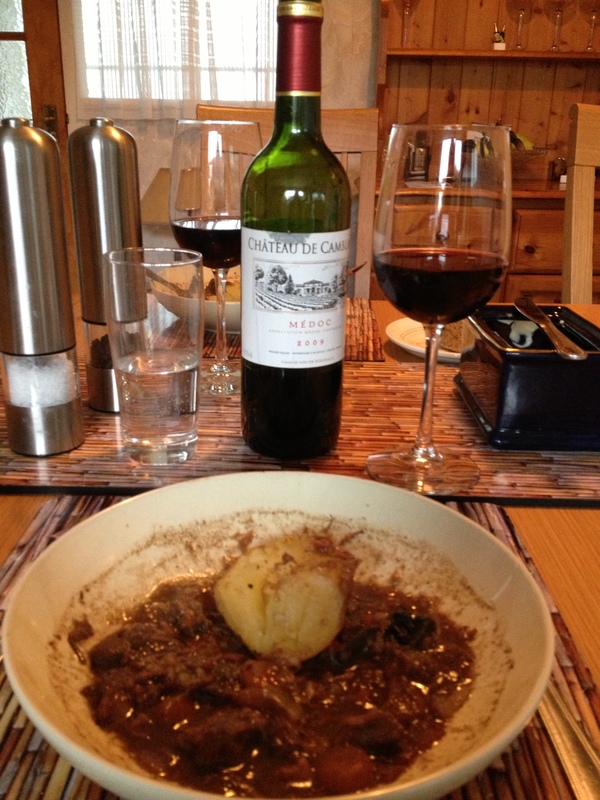 It was time to return to an all time favourite recipe, Supercook’s Boeuf en Daube. 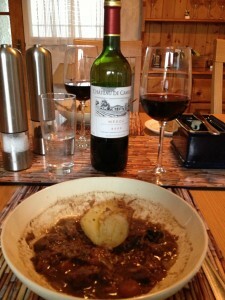 See here for a previous wine pairing with this lovely stew of beef marinated in red wine and cooked with bacon, mushrooms and the marinade. We served it with jacket potatoes. We have often found Cabernet/Merlot blends go well with beef cooked in red wine and so we opened a bottle of Waitrose’s Chilean Cabernet/Merlot. We were not happy with this and set it aside. 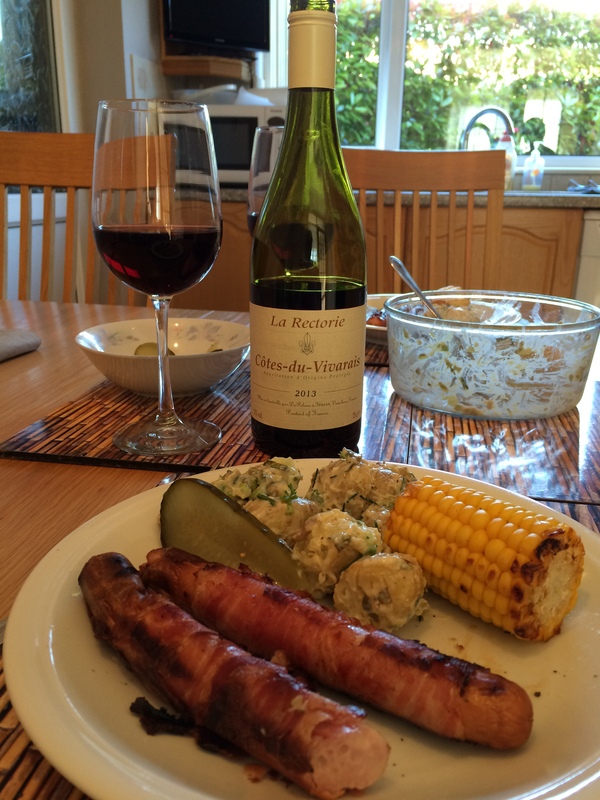 We then opened a bottle of Chateau de Camblanc Médoc 2009, a Bordeaux from the Sunday Times Wine Club. This full-bodied, Merlot dominated red gave cherries on the nose and cherries and black fruits on the palate, with a long, full, slightly spicy finish. A good wine and a very good match with the daube. 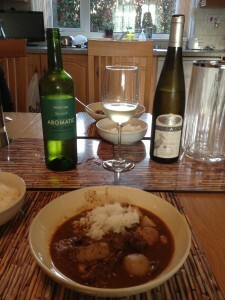 We went for Thai Mussaman Beef Curry from Rick Stein’s Far Eastern Odyssey. The recipe includes fish sauce, shrimp paste, lemongrass, palm sugar and black cardamon. We ended up sampling a couple of different wines with it. First up, we opened a bottle of Waitrose’s Aromatic and Citrus Spanish Dry White. This is made in Galicia from the Airen grape. It was pale gold, crisp with a citrus pineapple creaminess. We thought it improved through the meal and was a good match. We also opened a bottle of La Pierry Alsace Riesling 2008, a French white we had bought in Alsace. This had a slight sweetness and was very creamy and acidic with peach flavours. We were not impressed with this at first with the food, but found it too improved considerably after a while. Two examples of how the palate sometimes adjusts favourably to a wine as a meal progresses. 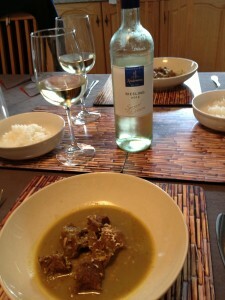 We finished off the Jerk Chicken from Monday evening (see 9th April) and decided to risk a red wine with this dish. We opened a bottle of Coogee Bay Shiraz/Cabernet Sauvignon 2010 from Waitrose. This is a full-bodied Australian red and we tasted red fruits, vanilla and spicy plums. 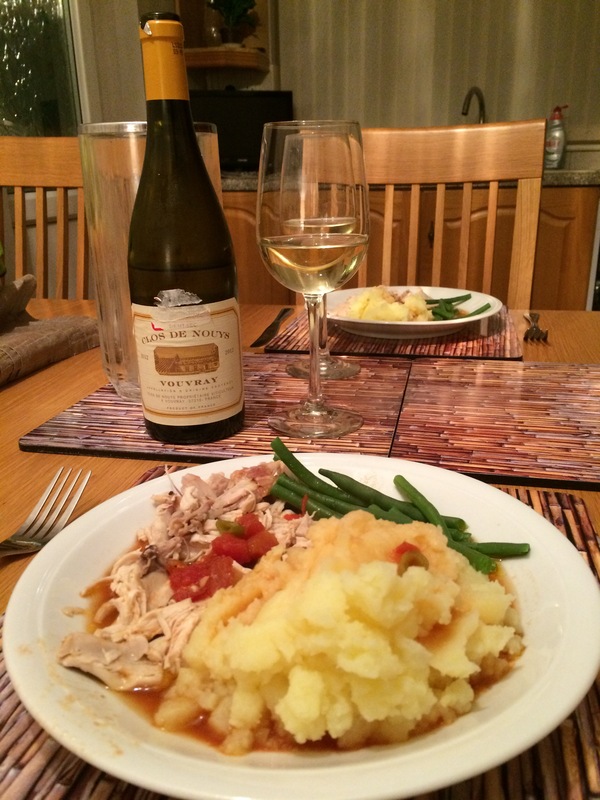 As with the Chilean Sauvignon paired previously with this meal, this too was something of a slow burner. By the time we were on the final glass, we both agreed the wine combined reasonably well with the Chicken.